Latest installation in Indiana. We haven’t any idea about the food, only that they have good taste. 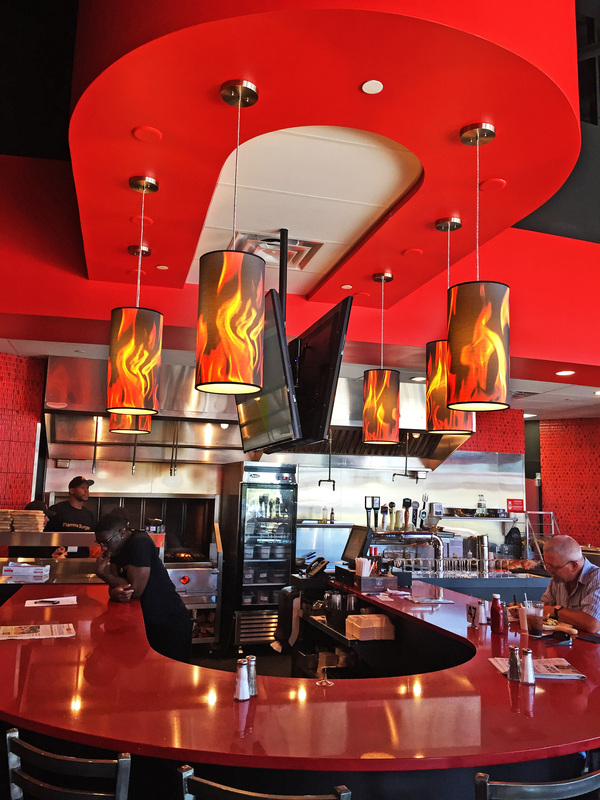 Look for Flame Burger at 8594 E. 116th Street, Fishers, IN. Here. Have tried a number of our double drum shade Silhouette styled hanging lamps with polycarbonate along with colored PolyPro and can report nice results. Vibrant and clean. 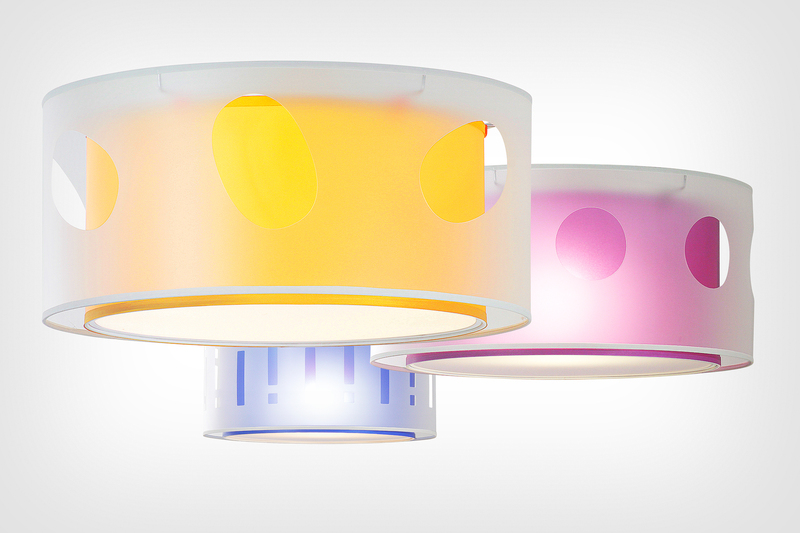 Have a look at our collection of cut-out contemporary light fixtures and select from our available PolyPro shade colors.